Why convert to a MetaClinic? Health and wellness that works. With all the recent promises of better health and cost savings, the health care industry is falling short. Medical services are still largely reactive instead of proactive. The quality of care is being widely outpaced by the costs. And ever-changing regulations leave everyone confused and concerned – wondering if real solutions actually exist? Bravura Health is a real solution. Through the creation and management of MetaClinics, Bravura is creating environments where employees can take control of their own health, where employers can take control of their health care costs, and where the true value of proactive medicine and wellness programs can be realized. They are called MetaClinics because they are transforming the way traditional employer-sponsored onsite clinics are managed. Bravura can convert your existing onsite clinic, or create one onsite at your company. Bravura Health. Proving that there are common sense ways for health and wellness to work for everyone. We guarantee that your MetaClinic will meet your goals. Start improving your employees’ health and your company’s bottom line. 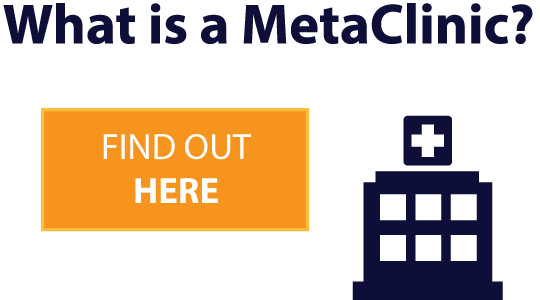 MetaClinics work because they challenge the traditional assumptions – of employer-sponsored onsite clinics and of the health care industry as a whole. Your clinic management team consists of professionals representing all the disciplines needed to deliver effective Population Health Management. Both clinical and non-clinical staff are needed to ensure creating a patient-centered medical home for your members and focusing on reducing health care costs and the Health Equity℠ of your employee population. From scheduling employee visits to your clinic, to making sure it is well stocked with the most commonly needed medications, to keeping it clean and well maintained, your MetaClinic has our full attention. If there are any problems you hear about, we are available 24/7 to address them. If a patient has a problem with their visit, they have access to a Clinical Patient Advocate to thoroughly discuss their individual situation without concern for privacy matters. Is my MetaClinic running smoothly and are the patients satisfied? Am I getting the value I expect from my MetaClinic? Are my health plan members really getting healthier? How are clinic programs performing to make my members healthier? At least every quarter your clinic management team will meet with you to cover a comprehensive set of reports detailing all of the measures that support the four business questions. Additionally, our performance guarantees are reported to you using a certified, industry-standard reporting platform that is third party verifiable. So what is this all about? Simple. We have all the available claims data from your health plan and from the MetaClinic and we employ nationally certified software to analyze every known engagement a patient has with the health care system. In addition, we use nationally published standards of care to identify patients who are compliant with their health conditions and wellness screenings. But wait, there’s more. Another way the MetaClinic model outperforms first-generation managers is because we employ an advanced data analytics platform that goes far beyond predictive modeling. This platform enables your clinic manager to demonstrate not only what your population health measures are, but how each clinic program is making an impact on your employee. It can even tell you what health related events were likely avoided because of the clinic programs. That’s right. We will tell you what didn’t happen and how much you saved because of the MetaClinic. LESSON 12: Choosing the right type of clinic manager. LESSON 46: Your clinic is doomed to fail.